Custom playing cards are a very popular gift in the souvenir shops on cruiselines. 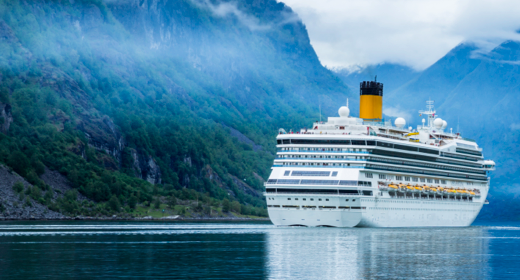 If we would tell you that cruising companies are very important customers at Cartamundi Nordic, would you be surprised? Everybody knows how Scandinavian people have developed a love for sailing and conquering the waters throughout history, ever since the first Vikings shipped off to the shores of Europe. This is still very much part of who we are as Scandinavians. We will go on a boattrip just as easily as we would jump on a bus. So it shouldn’t be a surprise when we tell you that there is a big portfolio of playing card decks we have co-developed with the cruising companies over the years. Viking Line, Silja Line, Eckerölinjen, Tallink, Birka Cruises… in all their gift shops you will find a branded pack of cards for a wonderful pastime. Because playing a card game is simply one of many fun things you want to do when you are offshore, cruising the water, enjoying the views. Why would we want to showcase this on our website? Because it proves again how the timeless products we produce easily connect with brands that offer people happiness, and a break from the ratrace. This is why we have lasting partnerships with certain customers. If you are a company who has something to offer that people need in these ever faster times, maybe you should drop us a mail or call us, to get together. We can empower your brand with tailormade gaming concepts for the young at heart out there. Are you and your company interested in launching your own custom made playing cards, let’s discuss!